I wish I had some great advice, but honestly ….I feel the same way a lot of the time. 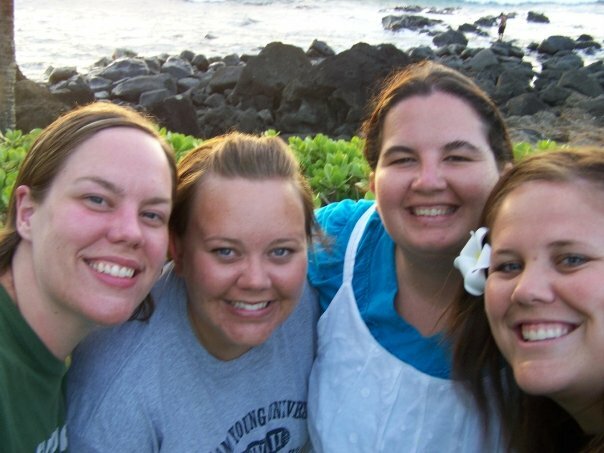 Even now that I am married I still struggle with the ever changing circle of “girl friends.” It has been harder for me to fit into a “family ward” and to meet new people. I miss all of the great stuff that a singles ward provides for getting to know people. I feel like I have lost touch with so many friends. So, hang in there! You aren’t the only one who feels this way. I’ll pray for you! Thanks Julie. It is good to know I am not alone. I hope I didn’t sound too depressed in my post. It is just some challenges, and I miss my friends. Life goes on. It’s interesting what you say about your experiences in the family ward. To me it is funny because with all the modern conveniences you think it would easier than ever to have friends but it seems like those friends stay on a more shallow level. It’s like facebook has replaced actual visits with friends. Not quite as good! Well thanks for the kind thoughts! I did get your message last night but not until it was too late to call back. I have been insanely busy with work this year and I feel like by the time I get home, it’s too late to call anyone. And just so you know…I feel a lot of what you feel as well. It is hard to constantly be making new friends. My best advice is to be yourself and be friendly (which of course is being yourself!) and eventually things fall into place. I just try to think that eveyrone feels the same way I do and it is much easier to approach people. Also-just think by the time you are 30 how many friends you will have since you are constantly making new ones! I think of you often and hope you are doing well. And you know I’m always up for Hawaii! Thanks Camille. You are the best. We will definitely have to talk Hawaii and everything else. Even NOT being single it is hard to come up with a good group of friends. You even need friends being married. Sadly I have found as a trend in the church in general the women feel very lonely. It is a sad thing to hear. We should all be more than happy to be “friends” with other women. But it doesn’t happen. Good luck. If you find the magic answer PLEASE post it! It really is sad. I wonder why we do that when we need each other so badly. I guess I have always thought you didn’t need friends as badly when you were married because you have your spouse as a constant. Clearly from all the responses this is not the case. Thanks for the comments.